The start of term is always an exciting time and this year has been no different. There is a real buzz about the place and a strong sense of continuing success which makes everyone, staff and students alike, feel positive about the future. As predicted, the school achieved excellent GCSE and A-Level results confirming our status as one of the most successful comprehensive schools in the West Country. 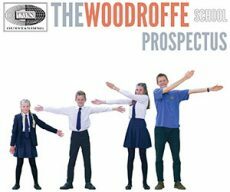 For the third year running, Woodroffe was the highest achieving secondary school in Dorset. In English, 87% of students achieved a standard pass (4+), with 75% achieving a strong pass (5+). In Maths, 85% of students achieved a standard pass (4+), with 66% achieving a strong pass (5+). The combined ‘basics’ figures were very impressive indeed, with 81% of students achieving a standard pass in both English and Maths, and 60% achieving a strong pass. Woodroffe is unusual in that the majority of students continue to take a Modern Foreign Language at GCSE. This means that our EBacc scores are always high, and this year it was no different with 46% of them achieving the EBacc. Entries for separate sciences are also always high and this year the standard pass rate was 100% in all three subjects. Religious Studies, sadly neglected in many schools, is also worth a mention since 9 out of the 27 entries achieved a grade 9. At A-Level we achieved some outstanding results, with two students gaining Oxbridge places and many others off to Russell Group universities. Our overall pass rate was 99.6%. Success at A-Level is part of the reason why the sixth form has become so popular. This year 127 students joined us in Year 12, giving us a sixth form of well over 200 students. This means that we can continue to offer a really broad choice of A-levels without sacrificing the high standards of personal support for which we are known. 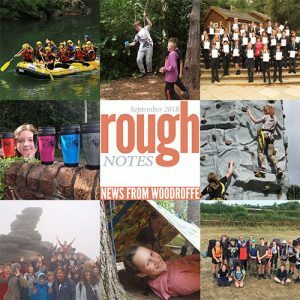 The new Year 7 cohort has made an excellent start and it has been quite remarkable how quickly they have settled into school life and begun to absorb the Woodroffe culture. With 181 students in Year 7, the school is beginning to feel quite crowded (especially when it rains!) but standards of behaviour are so high that this is never really a problem. This year there were over 30 admissions appeals for places in Year 7, and we continue to hear appeals for places in every year group throughout the year. Woodroffe’s popularity with prospective parents suggests we must be doing something right. At the end of last term, we were fortunate to receive notice that we had been successful in our bid for a grant to reclaim the neglected area between music and science and this allowed us to spend nearly £50k on creating a decked area, flanked by a very healthy looking green sward of artificial grass, which is currently being used as a social/study area by sixth formers. It has certainly transformed that part of the school which now looks positively modern. We were also able to replace the light fittings in both the sports hall and the drama studio with LED lights which should ensure great savings in the future. Less successful, however, was the canopy project which the PTA has worked so hard to raise the money for. This should have been installed in the summer, but the company involved let us down badly, managing only to fit the two large steel supports. These now stand outside the sports hall looking something like the mysterious obelisks in 2001 A Space Odyssey. The canopy itself will arrive at half term – we hope. We will also be fitting electronic gates along with a stronger, more secure fence at the front of the school. Arriving later this term, we await the installation of a new kiosk outside the main hall where food will be served, thus taking the pressure off the dining room. So, an excellent summer and lots of exciting things to come. It’s going to be a great year.